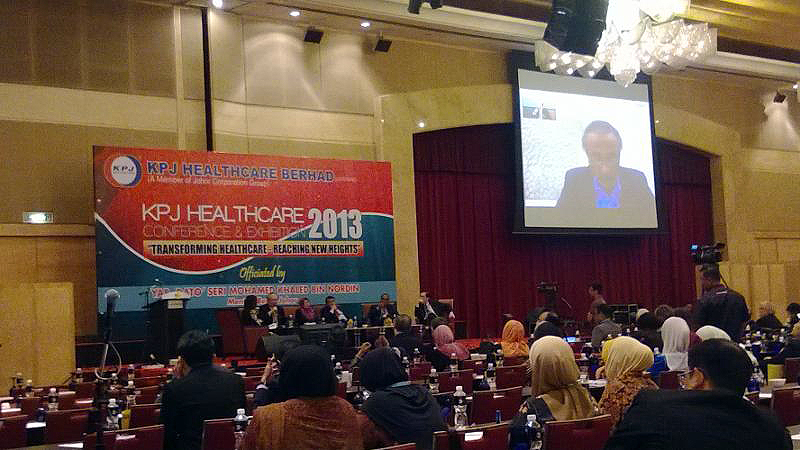 On November 6, 2013, Malaysia’s largest private healthcare provider KPJ Healthcare hosted its annual medical convention in Kuala Lumpur. For the first time in the 12 years of the tenure of this convention, KPJ decided that it will open some of the debates that would traditionally revolve around medicine and clinical practices to the larger issues that affect the morality of doing business in any industry, not least the medical industry. 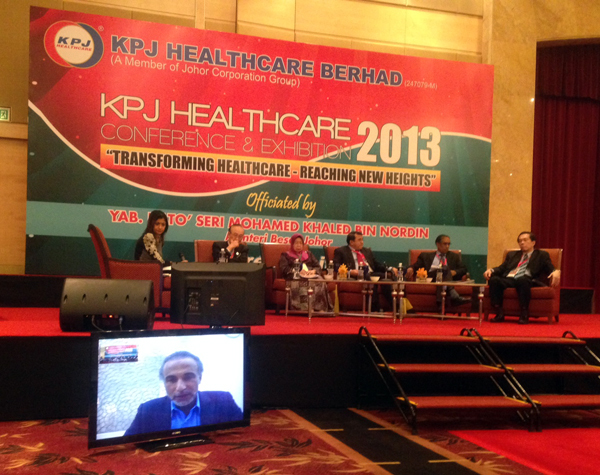 KPJ Healthcare Bhd, a public listed company, is the largest private sector hospital in Malaysia and their brand has been voted among the strongest 20 in 2012-2013. I had the honour of moderating the panel which comprised clinical and non-clinical members. Datuk Dr Zaki Morad – Practicing nephrologists and Head of Clinical Ethics at KPJ Healthcare. Professor Dato Dr Sivalingam – Head of the Division of Human Development and Population Health at the IMU Clinical School in the Seremban Campus in Malaysia . Excellency Senator Datuk Paul Low – Minister in the Prime Minister’s Department in charge of governance and integrity. Dr Milton S W Lum – Fellow of the Royal College of Obstetricians and Gynaecologists, Academy of Medicine and the Royal Society of Medicine and a member of the Malaysian Medical Council. Professor Dr Tariq Ramadan – Professor of Contemporary Islamic Studies at the Oxford University (Oriental Institute, St Antony’s College) and also teaches at the Oxford Faculty of Theology. As the questions were answered, many arguments, as well as discourse and debate evolved on the sometimes taboo questions not only in Malaysia but also globally. Role of economics in medical ethics – where are the lines drawn, who draws this line? Oversight – Malaysian Medical Council – The judge, the jury the adjudicator – shouldn’t the chairman be elected and the council be independent? Should governments be involved in running healthcare business? Politics and medicine – How much of national, local and organisational politics affect proper medical care to patients based on Hippocratic oath? Profit versus service – Where are the lines drawn who monitors this? Service versus KPI (waiting time etc) – In government hospitals – does one keep to KPI or good service? Where do the loyalty and ethical motivations lie? Government regulations – government regulators: how to balance public health concerns vs economic footprint of an industry vs produces vs innovation? Moral, politics, faith and medical questions – Assisted suicide, euthanasia, abortion, force feeding , surrogate mothering, cloning, DNA data banking – What are the ethical issues around this that require resolving? How do you teach ethics? Doctors owning businesses — How does one know if procedures done are not done to pay for new devices? How is this tracked? Doctors maximising income – Confluence of interest between doctors and hospitals they work for ? Insurance companies – How are these selected by hospitals – public and private. Would you drop insurance company that don’t pay patients well even though they may have been with hospital long? How are these decisions made? Library of outcomes made public so that patients are able can select best options. Is it realistic? Who should manage? Where are the potential loopholes and gaps? Drug and device business – Is the industry run by needs of patients or business of pharmacies and devices ? Role of doctors? Role of Hospital management? Role of politics? Saving lives – drugs for HIV, meningitis, tuberculosis are expensive in poor countries? Shouldn’t the industry slash cost to save lives in these countries? Are they killing people by the costs? Life support – at what point would you stop this – at the request of family and friends, at the request of hospital as its costing too much or when you think the patient will not make a recovery? Organ transplants – How does the system ensures that this is ethically done and tracked? That organs are not given and transplanted based on whether someone is able to pay or not? Hiding full outcomes and repercussions of diagnosis from patients? How does one monitor this? Covering up mistakes – is it ethical to cover up mistakes of procedures and/or prescription if it is beneficial to patients? Buying organs and national organs bank? – what’s legal and ethic? What is your biggest ethical dilemma in your areas of profession? Ethics in the business of medicine and biosciences affects the rich and poor, the healthy and the unhealthy. It is therefore our moral duty if not obligation to continue this debate beyond this forum to the grass roots so that we each know that we have given honour to the life and health our Creator has bestowed on us.